Lets start by saying there is no perfect bug out gun that suits everyone’s needs! The ones discussed in this article have both positive and negative points. 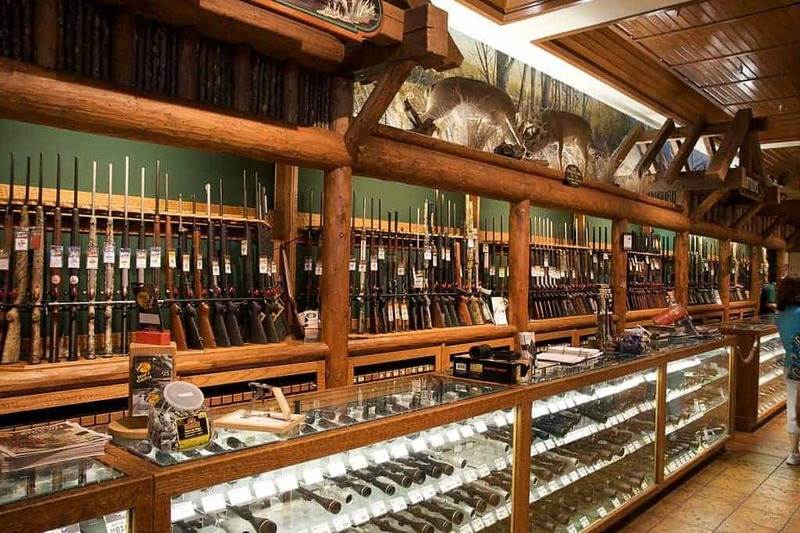 Firearms are quite specialized and plenty of people come to the conclusion that they need both a handgun and a rifle. Each one is superior in different areas and in an ideal situation there is no question that you would have both. This is part of the reason it is so hard to choose. I encourage you to try out some guns before you buy if you have any way to do so. Note: There is no point in having a firearm if you don’t know how to use it or aren’t prepared to use it. You can find some ideas for alternative weapons here. Out of all the great guns listed here, if I had to pick the best for most people and situations I would choose the Kel-Tec Sub 2000. It is lightweight and takes 9mm ammunition. You can use most 9mm magazines interchangeably so you can reduce the need to carry several styles if you want to have a rifle and a handgun. The Kel-Tec Sub 2000 offers the range and comfort of a rifle but packs down small and offers a high capacity magazine so you have plenty of firepower if the situation calls for it. 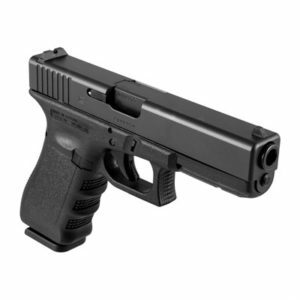 If you are bugging out and want a quick self defense weapon that doesn’t weight a lot then the Glock is ideal for most users. The easy to find ammo is a major bonus. if you want to have a rifle you can use the same ones with the Kel-Tec Sub 2000. Glocks are also inexpensive to buy and easy to find at a range so you can go try one out before you buy. 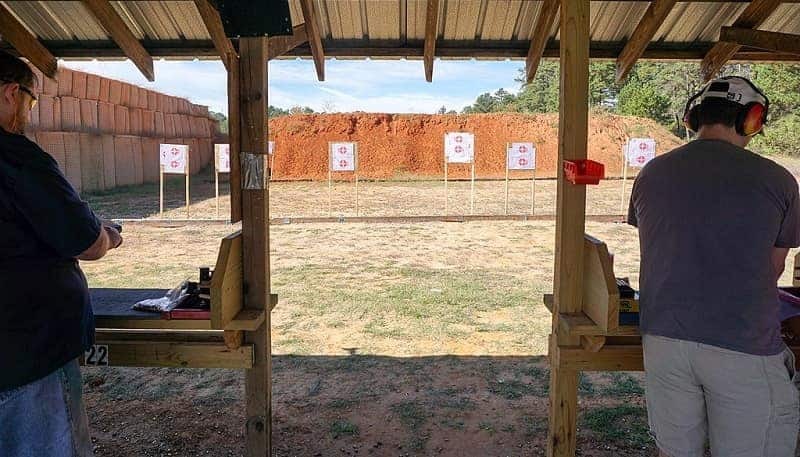 A lot of ranges will rent guns for range time and that can be a good way to get a feel for what you like. I won’t say this is a cheap experience but when you are looking to buy something as serious as a firearm you should do some research. Hickok45 on Youtube is an interesting fellow that does a lot of in depth gun reviews. My dad got me watching his channel and he really knows his stuff. 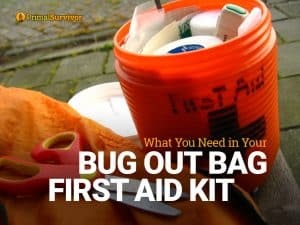 There is a lot to think about when choosing a gun for your bug out bag. Before a major purchase you should ask yourself the following questions so you can make sure to get the gun that will best serve your own situation. Primary Concern: Hunting or Self Defense? If self defense is the primary concern than a handgun is the way to go. 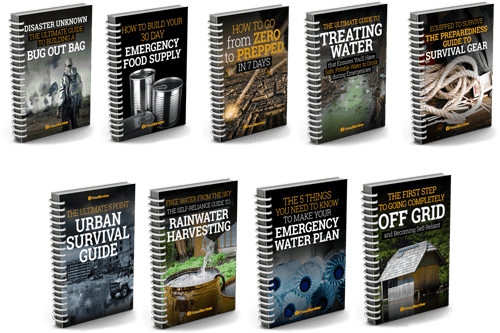 A lot of people plan on being able to hunt some game during a survival situation. The truth is that there are so many people thinking the same thing that there is a good chance that game will become scarce pretty fast. Part of this depends on what you are willing to eat and also how big of a wildlife population you have in your area. Handguns do not have the range and accuracy of a similar rifle so they are a poor choice for most any hunting. Rifles on the other hand are longer, larger, bulkier, and don’t offer the ease of concealment that a handgun offers. While some of you may be in urban environments where you are dealing more with predators of the two legged variety, there are some that need to consider protection from the wildlife around them. During hard times animals can be stressed too and you may find that you are invading their environment to survive. Nature doesn’t always accept humans back into the system as easy as we would like. I once worked for the Forest Service in Alaska and one of my biggest concerns when out at a remote location with just float plane or boat access was Grizzly Bears. They offered us no firearm protection at all. Cougars in Washington State where i spent my childhood are known to stalk children in good times. What do you think is going to happen if everything gets disrupted? 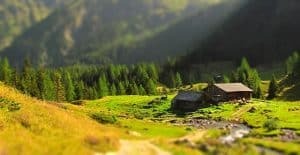 What if you are bugging out and camping remotely? Some ammo costs far more than others or it can be harder to find or worse yet, expensive and hard to find. .22 caliber used to be so cheap to shoot. I remember back in college my husband and I could make an evening out of a 500 count box of .22 that cost about $12. Now that same box can be $50 and you have to actually be able to find it in the first place. Ammo hoarding is part of the problem. Manufacturers cannot keep up with demand that high! .380 caliber and 9 mm are fairly easy to find so for a handgun that can be the best option. The weight of the gun and ammo is definitely a major concern. This is where you need to realize your own limitations as well. 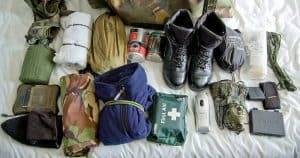 If your bug out bag already weighs 30 lbs or more than you may be limited in the amount of ammo you can actually carry with you. Bigger guns are often overkill and have expensive and heavy ammo to deal with. I am going to give you the weight of each gun I suggest. The bigger the caliber the more the ammo is going to weigh. If you have a lot of experience shooting a particular caliber than you might not want to mess with success. There is something to be said for having multiple guns of the same caliber in a survival situation. It is also useful to have a common caliber so you can find ammo or if you have extra you can use it to get other things you might need. The more compact the less rounds the clip is going to hold. Those with larger hands can feel a bit off holding some of the smaller guns. 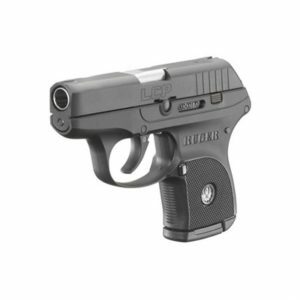 The Ruger LCP is a perfect example of an excellent small concealed carry gun but it is small enough that you can almost lose it at times and I have to say that as a woman with larger hands, I cannot get my last few fingers on the grip solidly. It would do the job just fine but it takes some getting used to. 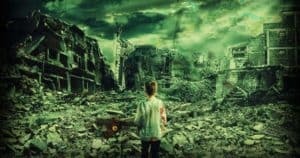 Now we know what we need to take into consideration before buying a gun for our bug out bag, lets dive right in and have a look at some of the firearms you should be considering. This is a gun that is going to have easy to find ammo. During a major situation there is a decent chance that you could find or trade for some if needed. This is a more budget friendly Glock. They have a lot of different 9mm models, with some of the more expensive models costing over $2K. The G17 is the most widely used pistol for law enforcement not just in the United States but world wide. It is nice that you get two 17 round clips when you buy a new Glock. Combine this with the Ruger PC9 and you got a rifle and pistol combination that you can do a lot with. If you are a couple bugging out together one person could carry the rifle and the other the handgun to distribute weight but you could share ammo and clips. Best For: The Glock is reliable, has a high capacity magazine, is lightweight and easy to conceal for those that are bugging out in populated areas. The Ruger LCP was a major hit among those that wanted a small concealed carry gun when it first come out.I was one of the first wave of buyers out there and paid $350 for it with a box of ammo. Now you can get this handy little gun for an amazing $199. For conceal ability you will be hard pressed to find this high of quality and ammo capacity at the price point it is now offered. The only safety is the trigger pull itself. Plenty of people do carry this gun with a round chambered and the gun in a holster. The trigger pull is significant enough that you are not just going to touch it and have it discharge. Best For: Those that want a small sized and easily concealed personal defense gun or those that are already carrying a rifle and want something they can get to quickly for defense. This single action semi automatic offers a full size and is a remarkably good feeling gun in your hand. It is solid and its reputation and reliability are amazing. The ammo cost is reasonable and the weight is light enough that you can pack quite a few rounds of this without being too hard on yourself and if it comes down to it during hand to hand combat in a survival situation, it is heavy enough to use as a bludgeon. .45 ACP is a common round although not as common as the 9mm. The front fiber optic sight and rear LPA sight makes accuracy a bit easier to achieve. Best For: The 1911 is an excellent bug out gun for those that want a full sized solid semi automatic with easy to find ammo. For bugging out you will enjoy the fact that this gun is made to be durable yet lightweight. The slide and barrel are 4140 steel but the actual frame is 7075 aluminum. Grips, slide cover, trigger, mag release, and safety levers are made of a glass reinforced nylon called (Zytel). You can get this gun in a few different colors but black is the easiest to find and the most popular. The double stacked magazine allows for a lot of firepower for your dollar. If you are truly in a combat situation during an emergency, it is going to make you feel a bit better knowing that you are not going to have to change a magazine out after 8 rounds. The fiber optic sights make it easy to aim, even when just learning. When it comes time to clean this gun, you can disassemble it by removing a single pin. Best For: Self defense in urban and rural environments. 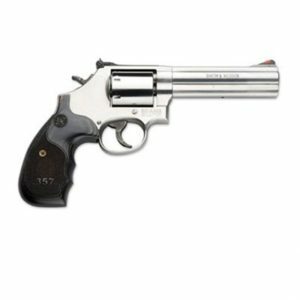 The large ammo capacity and lightweight design make this an ideal gun to throw in any bag even if you are new to firearms. I couldn’t write a bug out gun article without including a .357 revolver. It is hard to beat the reliability and ease of use that you get with a quality revolver. The one disadvantage is that you have those 7 shots and then it is going to take you awhile to reload. This revolver will also accept .38 special cartridges so you have a bit more versatility than with some other revolvers. For example a .38 Special will not accept .357 rounds. There is nothing wrong with the .38 Special but it is kind of nice to have more ammo choices. Smith & Wesson guns hold their value well too so they are not a bad investment. Best For: The .357 is a standard when it comes to reliable self defense. Preppers that are not familiar with handguns will appreciate how easy the .357 is to use and how it can be easily thrown into a bug out bag or worn in a holster. This is a great choice for rural or urban self defense. This is an option for those that want a gun to hunt small game with, the convenience and commonness of the .22 caliber round, and want to be able to conceal their weapon and carry it easily. A .22 bullet will take down more game than you might expect. Unless you are in country where there is a lot of larger game then there is little reason to carry any bigger. For those that already have a Ruger 10/22 or that are planning on buying a used one, you can order a kit to convert your’s into a breakdown model. 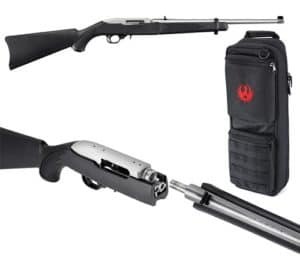 This definitely offers an option for us fans of this great little gun to upgrade and make it more easy to carry into the woods. The disadvantage of course is that it takes a minute to put it together so it is not the best self defense weapon in its broken down state. I can definitely see having this rifle for hunting and a .22 pistol or a 9mm for self defense and easy access. You can also think about it like this. A gun to get you of the city and another to help out with hunting and defending your territory or base camp. A small inexpensive scope can add a lot to your accuracy, if properly sighted in. 4x power scopes are enough to help. You don’t have to put on a scope that costs as much as the gun itself. Best For: The 10/22 Takedown is a great choice for small and medium game hunting and defending your location. Since it breaks down to a small size it is easy to carry and conceal. This is a compact and affordable rifle that has a strong following. While it can be hard to find, it is worth it to seek this one out because of the quality, weight, and the convenience of a rifle that will accept many competitors 9 mm magazines so you are not stuck buying one brand of magazine and spending a lot of money. To top it all off, the Sub 2000 can be folded up with ease so that you have a gun that fits into a 17” x 7” space. I love how lightweight this gun is. For those that really want to travel light during a survival situation this is the gun for them. Fluorescent front sights are adjustable based on your elevation and windage. Best For: Preppers that want a small lightweight and easy to conceal 9mm style rifle for self defense or hunting. This size means you can fit it in a pack and the weight is phenomenal for a rifle! I have a soft spot for the AK-47. When I was a little girl my dad had one and I remember learning how to load the magazines and a big drum magazine. His was a Chinese AK which are pretty rare to find now. The DDI is made by Kalashnikov USA making it an extremely high quality AK to have. The US Hammer Forged Trinity of the trunnion, bolt carrier, and bolt combined with the stainless steel gas piston and their signature flash suppressor makes this an AK that is going to hold up and offer rapid, no jam firepower when you need it. Century Arms makes an AK-47 that is not too difficult to get at a reasonable price as well but you will have to buy your own folding stock and put that on. 7.62 x39mm ammo is easy to buy by the case or you can buy a box at a time at just about any gun store. It is hard to go wrong with the reliability of an AK. They are one of the toughest guns out there in this price range. The fact that they can take a lot of abuse and still keep firing makes them great if you have even a suspicion that things could get dire. Some AK’s are rarer than others so if you see a big price difference you are probably looking at a N-PAP or O-PAP not an American made Century Arms. Best For: The AK-47 is extremely reliable. A folding stock AK is excellent for defending a location. It is easy to use and made to carry over long distances. The AR-15 is the most popular rifle in the United States. The ammo is easy to find and it is the gun that is standard military issue. Personally I prefer the AK-47 but they are both worthy of consideration for a major defense weapon. At under 7 lbs unloaded this is a lightweight full service rifle. If you have extra ammo on hand during good times if you ever want to trade some, it is going to be in demand. Best For: The AR-15 has a lot of stopping power and easy to find ammo so if you plan on bugging out for a long time, it is more likely that you can find ammo for this gun. It can be used for hunting some game if care is taken. 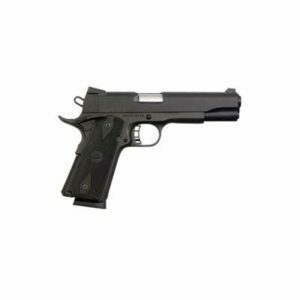 This is an interesting gun that is a good choice for those that already have a 9mm pistol. If you add the Ruger PC 9 Carbine to your arsenal then you can enjoy only having to carry one type of ammo. Customers like that this gun will also take Glock magazines so no odd magazine size that is hard to find. If you see one of these in stock and want it then you best buy it right away because they can be hard to find. The synthetic stock offers a reduced weight. Ruger includes 3 spacers that can be added to the buttstock to adjust the rifle to fit different sizes of shooters so those that are shorter or taller than average don’t have to sacrifice shooting comfort. The rubber pad does an excellent job absorbing shock. If you team this rifle up with a 9 mm handgun then you can have good options for different situations and only have to have one type of ammunition. If you have a Glock you can share your magazines which means a lot when you consider just how much it can cost and the extra weight of carrying several types of magazines. This can help make up for the fact that you are carrying 2 guns instead of 1. Best For: Those that are familiar with 9 mm and want a rifle for self defense and hunting. I really love the comfort of shooting a lever action rifle. The Marlin 30-30 is a a highly affordable rifle that is one of the most popular for those that regularly hunt deer. The ammo is easy to find and affordable. Customers report that for some reason this rifle is less expensive to buy with the scope attached than without. You can always remove it and replace with your favorite. This would be a good bug out gun for those that plan on being in the backcountry for a while and want something for hunting game. It is an easy to use rifle and in my experience lever actions are very reliable and functional rifles to own. Best For: Those that plan on being in the backcountry for a while and want something for hunting game. There is something to be said about a shotgun during a survival situation. First off you get a lot of firepower for your money. A 12 gauge is big enough to take on some large predators and it is guaranteed to scare most any person. The downside to a shotgun is that the ammo is very heavy. There are various types of shells for different purposes but that starts getting complicated and possibly not realistic when you are trying to bug out. A shotgun is very easy to use however so it has that going for it. The Remington is great for a lot of reasons but the 18“ barrel size is a good place to start. The Mag Extension Tube gives you 7 shots. The front bead sights and a finish that blends into the surroundings make this a good defensive shotgun that is lightweight and a reasonable price. Please note that this shotgun is not tapped or drilled for a scope mount. Best For: Defense and some small hunting if the right shells are used. It is not easily concealed and makes a strong statement to any foe. A lot of the calibers discussed in this post are very common so you can always go with another manufacturer and get a very similar gun. You may be able to shave some off the cost as well but beware of very new brands that no one has had time to test very much. You should always check your local gun laws. In the USA you have to be 18 to buy a rifle and 21 for a handgun plus pass a background check. You can legally buy a rifle from an individual without formal paperwork but for handguns you must do a background check and have the gun transferred over using a Federal Firearms License holder to manage the transaction. Some cities and states have their own set of rules. Bottom line – check up ​on the rules and make sure your gun is legal in the state you live in. Also any past criminal charges can affect the right to have a gun and if you get caught with one it can mean a prison sentence. Locations outside the US have some pretty strict gun laws or an outright ban on almost everything so your choices of weaponry might be quite limited. Alternative weapons include things like tactical pens, tasers and other electrical shock weapons, and air rifles. There were way more guns I wanted to write about than I could find space for here. 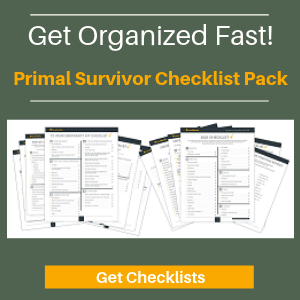 If I left out a good one, then please share the model and why you like it with your fellow Primal Survivalists in the comments below. No gun is perfect so make sure to point out any quirks that you have experienced as well. You are sometimes referring to a magazine as a clip. It’s a common occurrence. No biggie but not technically correct. Also a Hi-Point 9MM carbine costs about half of what the Kel-Tec goes for at Brownell’s. A lot of people can’t afford roughly $400 but maybe could afford roughly $200. I have one and love it. It’s reliable and accurate and probably deserves a recommendation. Thanks for the recommendation Charles. Will check that one out. The total cost of all three of these firearms should cost you around $1000, but could be less if you shop around for previously owned. For larger game, a scoped rifle in .308 caliber would be a generally good hunting rifle for deer, hogs, or other large game. Both Remington and Ruger make quality rifles. While there could be arguments for other firearms, I feel that these four rifles would provide you with an all around reliable mix for hunting and home/personal defense. Also, be responsible and add a locker or safe to store them in. Some solid choices there Joe. Thanks for sharing your recommendations. The Kel Tec SU16C is definitely one to consider. Alas there are a lot of good bug out guns that I simply didn’t have the space to include. It is always tough to narrow it down. Thanks for reading and contributing! I have had a Marlin .30 .30 lever gun for years and love it. I have made this a scout rifle of sorts, with a long eye relief scope. It has taken many deer and is super reliable! Although I haven’t had a chance to shoot either of them I recently purchased a PMR30 and a Ruger PC9 Takedown. It has taken months to find them and I’m super pumped to own each of them. Academy came through. Both of these have great up sides including large magazine capacity if desired. Hope they are as reliable as my Marlin has been. Great job on this article, I agree with all your choices, save the Remington. I think the Mossberg is the way to go, more economical and versatile and just as reliable, in my opinion. Hey Kent – great write up, should be helpful to many when making their choices. Let us know how you get on with the new guns. Carrying gear, food, a weapon and ammunition can add up quickly!!! Personally I prefer a small compact weapon that’s easily concealed on person or in a B.O.B. Therefore, I have chosen the Glock-43. Although it’s only a single stack, with a 6 round capacity. 26.36oz. fully loaded! A mere 6.26 in. in length, with a width of only 1.02 in. Saving space and weight! A box of 50 147g+P JHP weighs 26.2oz. While your article shows some good choices for guns to purchase, I have some issues with what you included and what you didn’t. First, you make weight concerns for carrying the firearms and ammo the number 1 issue. The plastic guns and 9mm round are NOT always the best choice. Little hands mean little, weaker wrists. The 9mm round generates a great deal of recoil especially in “plastic” guns. Any gun is worthless of you cannot shoot it because of the pain it inflicts. Go with more metal, equals more weight and less recoil. Many .357’s and 38’s revolvers are easier on the wrist making them easier to shoot. Also, a full size .45 ACP generates less pressure, thus less recoil, and may be a better choice. Second, the improper use of “Clip” where you mean “Magazine” leaves questions on your actual “expertise” on the subject. I may be too picky, but…. Third, are you expecting that anyone obtaining a firearm will automatically practice with it, let alone learn how to operate it safely and correctly? More discussion on training should have appeared. Last, the “Best” gun to use is what you have on hand. Yes, buying those listed will help keep the weight down, but if you already shoot a .44 mag. or 10mm, then use what you have and shoot. I’m sorry if I’m too critical, but this article sounds more like an advertisement than information. I am in the market for a defense gun, Is a Smith and Wesson considered a good recommendation? I have been looking for one. Hey Trail-rat – thanks for catching that editing error, have put the correct image in now. I saw a .357 revolver but no .357 carbine. Marlin has reintroduced the 1894C in .357 and would be a great defensive/hunting carbine out to 75-100 yards. Sounds like a good option William. Thanks for the heads up. very good and informative article and just so you know most people do not care if you call it clip or magazine so no problem. 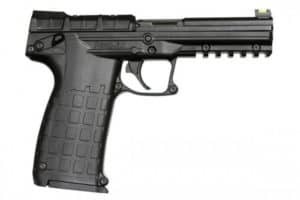 the kel-tec sub 2k and a handgun that uses the same mag is very smart, i personally have the g19 and g22 with the sub 2k in each caliber 9mm and 40cal. so the compatibility just makes common sense. i believe the bolt 308 is a very good choice for defense and hunting so the ruger 308 gunsite is my choice as 300 yards is not a problem plus should a larger dangerous critter be about the 308 with the 180 grain sp is very potent. 22 cal. is a matter of choice so the magnum research is my choice but your choices are common sense and make sense to me. no one will have everything needed in weapons and be able to carry all the ammo so we do the best we can to adapt. good article.